You only get to live in a house like this once in your lifetime. May we present..THE DUCHESS OF ELLENWOOD. One can only understand this space by experiencing it. This manse, built by and for Thomas Skinker, features generous light-filled rooms that are equal measures grand and intimate. Most of the updating and remodeling has already occured. Kitchen hearth room serves as epicenter of main level, while formal rooms segue to wrap around screened porch overlooking one of Clayton's largest and most expertly cultivated lot/gardens. Master suite oasis offers spa worthy luxury bath and private outdoor patio with commanding views. Media room with fireplace highlights family pajama lounge. Third floor 4 bedrooms can serve any/all purposes. Period artisan appointments on all levels keep this home Old World authentic. 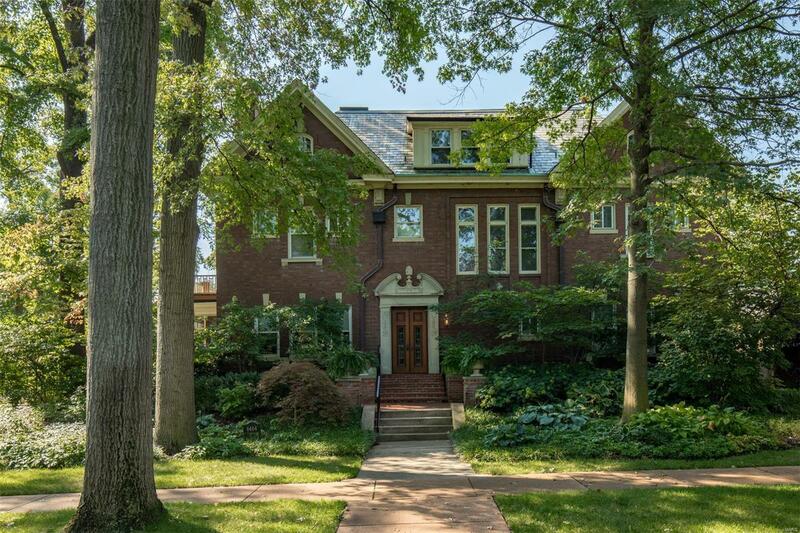 Situated in the heart of coveted Ellenwood neighborhood adjacent to Forest Park & Washington University. Some of St. Louis' most noteworthy residents have called the Duchess home.